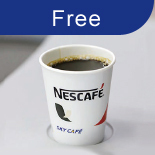 Skymark Airlines Inc. have partnered with Nestle Japan to provide all customers with NESCAFE and a KitKat under the promise of "‘a heartfelt service' even though it is a short flight." Milk Cocoa made from the sweet smelled cacao, please enjoy the mild and the sweet taste. A new way to brew coffee: simply steep the bag containing the coffee in hot water. This "Japanese Craft Coffee" is sure to pique the curiosity of coffee lovers everywhere, with its impressive smell and taste that can be enjoyed in your preferred style, drawing out the unique flavors of specially-chosen rare beans. The best balance of crispy wafer and chocolate! 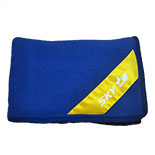 Provided in Skymark original packaging. This product is made in a factory that handles almonds and other nuts. We sell a selection of local products on all Skymark routes in order to support our service locations. Be sure to take a look at what is on offer. May contain traces of crab and shrimp. Natural water from "Kirishima", mythology land in Kagoshima. The bottle is wrapped with the snow peak of Kirishima "Takachiho Peak" and rising Skymark aircraft. A tea, hard to get as it is harvested in very small quantities. 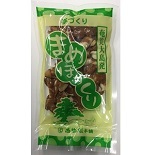 It has a deep green color, an elegant scent, and a mellow taste full of flavor and umami. It has been certified as organic under the JAS (Japanese Agricultural Standard). Japanese Black Tea using tea leaves produced in Yakushima, which have small production amount. 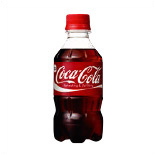 You can enjoy its pure tea flavor and softly sweet taste. It also goes well with milk. A convenient wine you can drink just by opening the lid, so there is no need for a glass. It contains authentic Kobe wine. A light-bodied and smooth wine. A light red wine made with cabernet sauvignon and merlot grown in Kobe. Salami made in Tokachi, Hokkaido, smelled with a solid meat texture and freshly ground spices. You can enjoy 60g plenty of volume with friends and family. We sell several goods with specialized design or quality to make your flight more memorable. Please visit our special website and you can see goods which you can get here only. Skymark Airlines Inc. have partnered with Nestle Japan to provide all customers with NESCAFE and a KitKat under the promise of "a heartfelt service" even though it is a short flight. We operate a wrapped airplane with Shitamachi Bobsleigh Network Project (SBNP). We support SBNP's Challenge to the World with the Japanese manufactured bobsleigh. We operate a wrapped airplane with Hanshin Tigerrs motifed. Let's support the Hanshin Tigers on the jet! We operate a wrapped airplane with "Taka Girl" of Softbank Hawks motifed. Let's support the Softbank Hawks on a Taka Girl jet! *The law forbids drinking by minors. *Above items may be sold out. *Due to flight condition, flight-In sales may be interrupted without notice. *This service may be terminated or changed without prior notice. *We do not prepare enough change. *The product selection may be changed without notice. 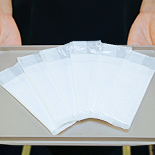 *Please inform flight attendant if you have any food allergy.